Image Credit: UCSF, Drew Altizer Photography. University of California San Francisco (UCSF), University of California, Berkeley (UCB) and Stanford University will work together on a new biomedical science research center funded by a $600 million commitment from the Chan Zuckerberg Initiative. Aimed at “advancing human potential and promoting equality,” the center has already initiated two ambitious projects – one of which involves a $3 billion investment over the next 10 years to cure, prevent or manage all diseases. 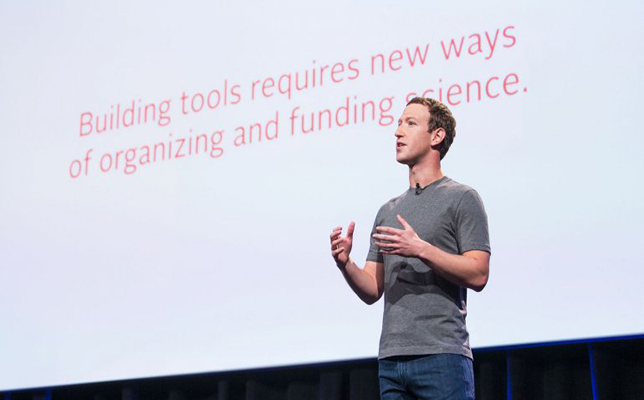 The Chan Zuckerberg Biohub is designed to create synergy among the three research universities. The facility will bring scientists and engineers together to develop new tools and technology and fuel a research movement, Facebook CEO Mark Zuckerberg said at an event unveiling the center. “The Biohub will be the sinew that ties together these three institutions in the Bay Area like never before,” said Stephen Quake, a professor of bioengineering and applied physics at Stanford who will co-lead the Biohub. Quake will work alongside Joseph DeRisi, a professor and chair of biochemistry and biophysics at UCSF. The first project the Biohub will undertake involves creating a map of the human body’s cells. The Cell Atlas will depict the internal components of cells, providing scientists with unprecedented detail and an advantage in research. A second project called the Infectious Disease Initiative plans to create new tools, tests and strategies for fighting diseases – such as vaccines for Ebola and Zika. The Chan Zuckerberg Biohub is the first philanthropic effort made by the Chan Zuckerberg Initiative. Its headquarters will be next to UCSF’s Mission Bay campus with a satellite site at Stanford. To learn more about the Chan Zuckerberg Biohub, watch the Facebook Live video announcement or visit the Chan Zuckerberg Initiative site.